Forward-thinking investors are constantly looking for the next BRIC-what foreign market is on the brink of expansive growth? Will these investments payoff, or are the potential risks too great? Investing in these emerging markets requires a careful analysis of potential risks and benefits which vary greatly from country to country and even from day to day. 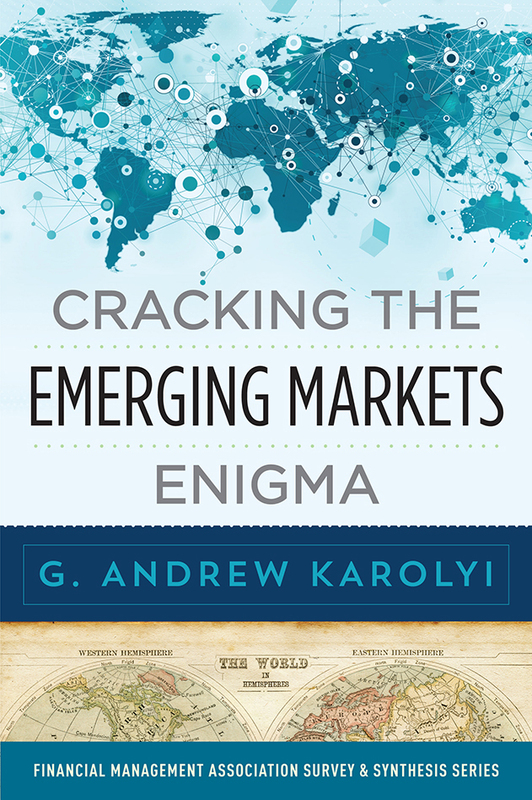 In Cracking the Emerging Markets Enigma, emerging markets expert Andrew Karolyi outlines a practical strategy for evaluating the opportunities and-more importantly-the risks of investing in emerging markets. Karolyi’s proposed system evaluates multiple dimensions of the potential risks faced by prospective investors. These categories of risk reflect the uneven quality or fragility of the various institutions designed to assure integrity in capital markets-political stability, corporate opacity, limits placed on foreign investors, and more. By distilling these analyses into a numerical scoring system, Karolyi has devised a way to assess with ease emerging markets by different dimensions of risk and across all dimensions together. This novel assessment framework already has been tested in the market to great success. Researchers, students, firms, and both seasoned and novice investors are poised to gain a clear understanding of how to evaluate potential investments in emerging markets to maximize profits. Chapter 10 Do the Emerging Market Risk Indicators Work? PART IV THE EMERGING MARKETS ENIGMA CRACKED? "Andrew Karolyi has a long track record of distinguished scholarship on international financial markets. This important book on the fundamental risks associated with investing in emerging markets shares many of the lessons of his writing. Anyone who cares about investing in emerging markets should consider Karolyi's new framework. This is an especially important book because it lets data and evidence talk loudly and clearly. Cracking the Emerging Markets Enigma provides a practical framework that highlights for asset owners, consultants, and professional asset managers the fundamental risks of investing in emerging markets. Readers will be inspired by the lucid arguments and, as investors, will be better prepared for the next hard decision they will face in the emerging market space."